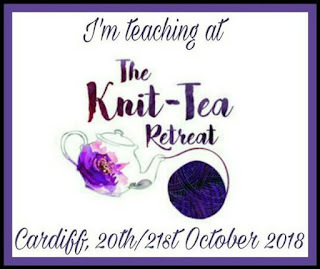 I blogged about my classes at the Knit-Tea Retreat recently. You can read it here. I'm teaching three classes at this retreat along with three other amazing teachers. The venue in Cardiff is beautiful, the classes are inspiring and there will be time for socialising and knitting too. Bookings open today. Get all the details here.